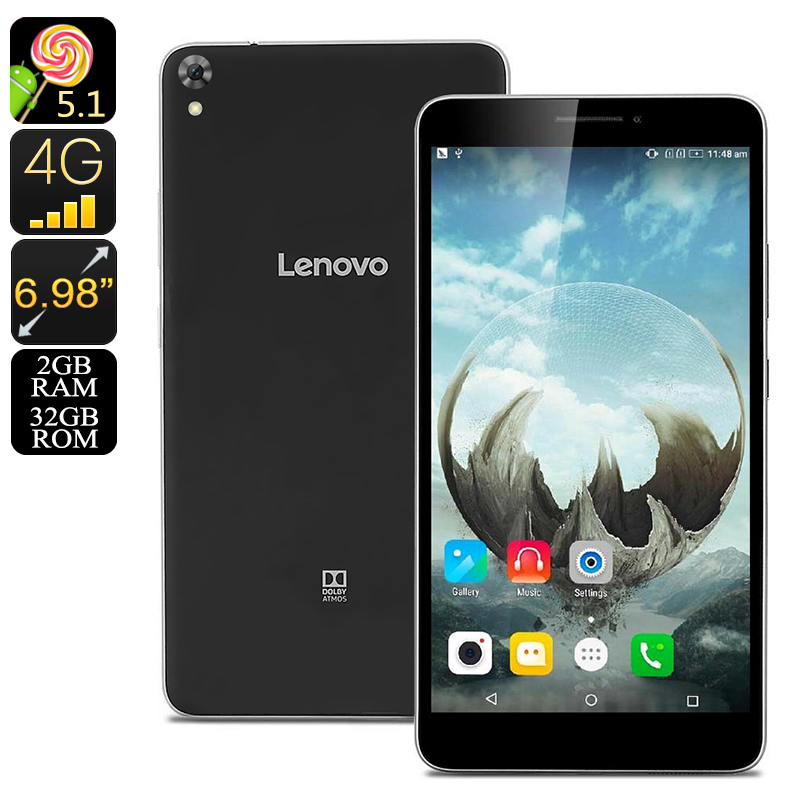 Successfully Added Lenovo Phab Android Smartphone- Android OS, 4G, Dual-Band WiFi, Quad-Core CPU, 2GB RAM, 6.98 Inch IPS Display, 13MP Cam (Black) to your Shopping Cart. With its beautiful 6.98 Inch Display, the Lenovo PHAB is the ultimate mobile phone to meet all your on-the-road gaming and entertainment demands. Featuring IPS technology, this Android phone brings forth vivid color and stunning details – truly enhancing your mobile media experience like never before. An epic 4250mAh battery brings along 5 hours of continuous usage time, taking you through the most demanding of days without needing to worry about battery life. Whether you’re in the back of the car, waiting for the bus, or simply enjoying a relaxing afternoon at home – with this Lenovo smartphone at your side you’ll never have to feel bored again. Under its stunning HD display, this Android mobile phone packs a sophisticated Quad-Core CPU that reaches clock speeds up to 1.2GHz. Along with its processor comes 2GB of RAM that allows you to use multiple of the phablet’s features simultaneously without slowing down your device. Playing games, watching movies, and browsing the web –this cheap Android phone handles whatever you throw at it. Simply head out to the Play Store, download your favorite type of entertainment, and enjoy years’ worth of mobile fun and joy anywhere you go. The Lenovo PHAB certainly is one o the best Android smartphones out there for watching movies and gaming on the go. With its Dual-SIM card slots, this Android Phablet allows you to stay connected to friends and family anywhere you go. Additionally, it supports 4G connectivity and Dual-Band WiFi, letting you browse the web at lightning speeds no matter where you’re at. Its Android operating system brings along a smooth performance, guaranteeing a great user experience that is sure to meet the liking of even the most demanding smartphone users out there. At the rear of this beautiful Lenovo phablet, you’ll be able to find an absolutely stunning 13MP camera that lets you shoot mesmerizing images and breathtaking video at any time of the day. Thanks to its compact size, this Android phone can be conveniently carried along in your pocket – allowing you to snap professional-grade pictures anytime something special occurs. Additionally, it also comes with an ultra-sharp 5MP front snapper which has proven itself to be perfect for online video calls and selfies. With 32GB of internal storage and a 64GB SD card slot, this Android mobile phone offers plenty of space to store all your latest pictures, video’s and other media alike.